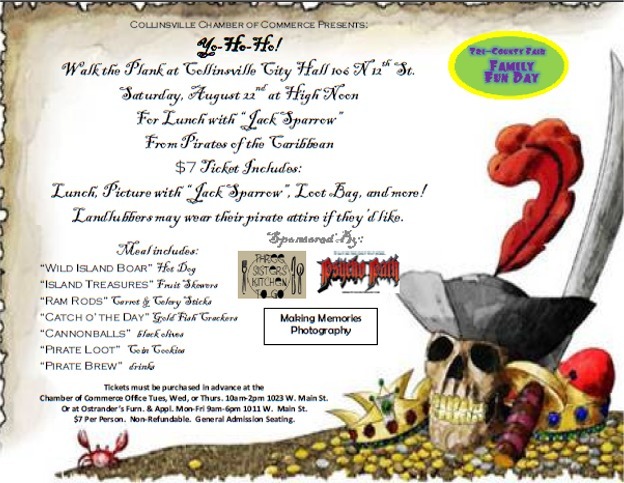 Collinsville Chamber of Commerces Family Fun Day on Saturday August 22nd! Friday Sept 25th will be Family Fun Night at the HS football homecoming game. We will have a meet and greet gathering at 6:00pm either inside or just outside of the stadium. Exact place to meet TBA. We will also have a reserved section at the football game for us to sit. The annual homecoming parade will also be that day at 3:30 for those who are in town early. You will be receiving a flyer in the mail this week with detailed information about the reunion. Please reply ASAP so that we can know the number attending.